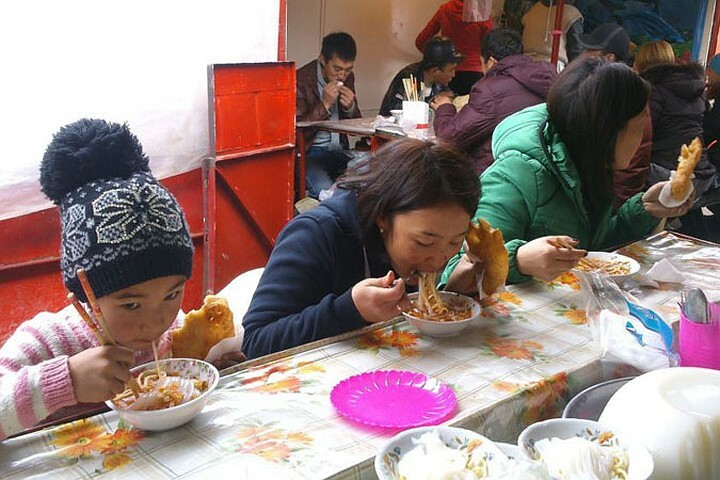 Ashlyan - fu - (ashlyamfu, ashlyan-fu) - national Uygur cold soup with noodles made of dough and pieces (most often in the form of straw) of starch. A rather peculiar taste due to possible origin - it is believed that China is the homeland of this soup. The root of the name "liang-fu" in Chinese means starch soup. 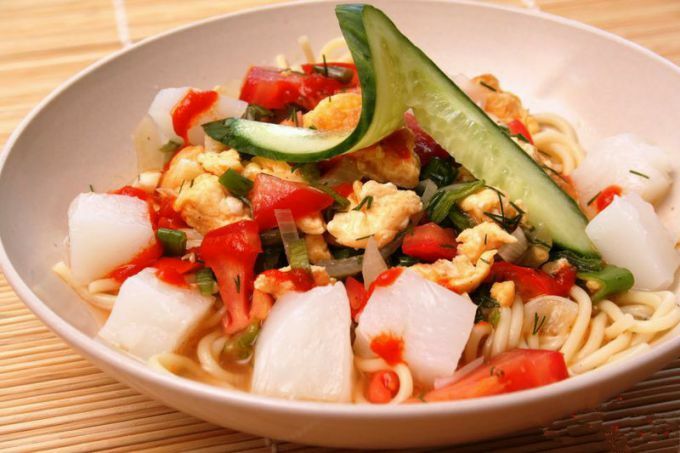 But the prefix "ash" ("osh" among many nations of Central Asia) is usually means the term "food".However, its ingredients in China are very different from the world famous Karakol (Issyk-Kul). The most famous place where you can eat Ashlyan Fu are the foothills of Karakol. In a small village almost at every step, there are small houses where put 3-4 tables. This soup is usually served in this area with scalding pies with potatoes and hot spices. Dungans and Uigurs still argue over which of them owns this dish. So far they have not come to an agreement, since, if we compare the components of the chowder and the history of both peoples, then the probability of belonging is approximately 50 percent for each nation. - traditional uygur lagman, made by hand. This soup is served exclusively cold. The taste is spicy, and here you understand why starch is added to it - this is a natural neutralizer of sharpness. In general, if you are in Issyk-Kul, be sure to go to Karakol and try this unique and unusual soup.